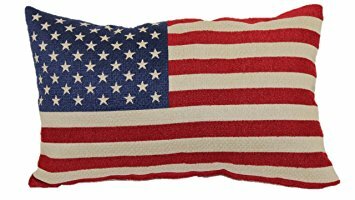 Home > Home Decor Accessories > Decor Pillows > American Flag - Throw Pillow - 12" x 20"
Give your home an instant creative refresh with the American Flag Throw Pillow. 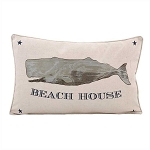 This charming pillow boasts the USA flag design on cream background that stands out in any room it's kept in. 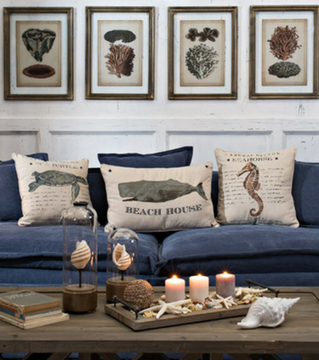 Complementing modern and contemporary decor and subtly contrasting rustic decor, this stylish pillow adds style and panache without overwhelming the color or design scheme of your home.